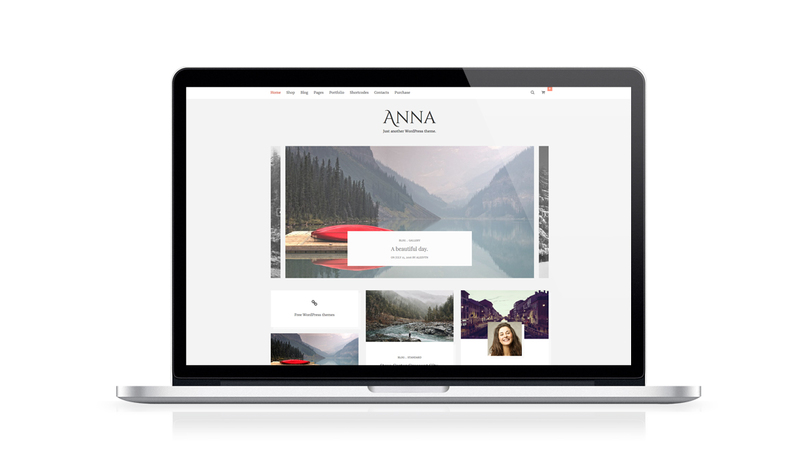 Anna is the ideal WordPress theme to share your stories, sell your products and manage your fashion or food blog. You can customize Anna from an extended option panel. Anna supports WooCommerce plugin. With the premium version, you can manage each WooCommerce section. For the gallery posts and the pages, you can use Nivo slider, Flex Slider and now Anna is compatible with Revolution Slider. Anna WordPress theme is not subject to the GDPR as it does not processes and store any personal data of your visitors.